A Customized Home Is Your Family's Retreat, As Well As A Long Term Investment. At Pine Cone Construction Inc., We Believe That A Positive And Strong Collaboration Between Client And Builder Is Essential To A Successful Project. The mission of Pine Cone Construction Inc. is to consistently deliver prominent custom homes where friends and family are welcomed, and memories are created. Perfecting a balance of traditional building principles and the most updated technologies, Pine Cone Construction Inc. consistently exceeds client expectations. Our 30-plus years experience ensures every project is completed with pride, craftsmanship, and professionalism. We strive to maintain our honorable reputation and long lasting client relationships through integrity and high standards of excellence. We know we have an excellent advantage to achieve our client’s goals because unlike many general contractors, we have our own team of dedicated employees, many of whom have been with us for over a decade. Our clients can relax as we walk them through the entire process with a level of personal service from our team that is unparalleled in the industry. Whether it’s accompanying clients to vendor shops, providing guidance in design and selections, or taking the time to educate them on building specifics, our staff is experienced and reliable throughout the project. In addition, we have our own building crew who meticulously and flawlessly complete project tasks such as excavating, framing to interior finish work, custom carpentry, cabinet installation, and stairs. This enables us to rely less on subcontractors, and allows our company to have the highest control over the project’s timeline, quality, and cost. In an effort to maintain long lasting relationships with our clients, we continue to serve our clients after the official warranty has expired. In fact, we are proud of the unique scenario of having many of our clients as our own neighbors. We truly stand behind our craftsmanship and architecture. C.P. 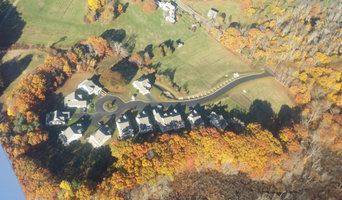 Berry Homes is honored to have built many of the areas most successful luxury living communities, including: Patton Ridge in Hamilton, English Commons in Topsfield, Caldwell Farm in Newbury, Ipswich Country Club Homes, Bartlett’s Reach in Amesbury, Fuller Pond Village in Middleton and Olde Salem Village in Danvers, to name a few. C.P. Berry’s reputation has been built on extended service to our customers, so it only makes sense that we offer our exclusive warranty program giving peace of mind to our customers. C.P. Berry Homes are recognized for their outstanding design, quality construction and enjoyment of living. C.P. Berry Homes selects only the finest craftsmen and contractors, and develops longstanding relationships with them. Our trades-people know the quality that is expected of them when working on a C.P. Berry Home. C.P. Berry Homes include many standard features, which are considered upgrades by other builders. For example: central Vac-U-Flo vacuum systems; AM/FM/CD Intercom systems; home security and fire alarm systems; granite counters; recess lighting; hardwood flooring; electric garage door opener, and fire sprinkler systems. C.P. Berry Homes is a family-owned and operated company, which has been in the development/home building industry for over forty years. We have the proven experience of building the finest homes available. C.P. Berry Homes has a long-standing reputation for unparalleled Customer Service; we were awarded the 2003 Pacesetter Award from the National Association of Home Builders and Custom Home Magazine for outstanding Customer Service among national builders. C.P. Berry Homes and the communities it has developed have been recognized with many national and regional awards from independent industry professionals, including the National Association of Home Builders, C.P. Berry Homes is recognized as one of the finest home-builders in the country. See our Awards Page for details. C.P. Berry Homes intends to continue its mission of: “Building dreams…One home at a time” long into the future. We’re here to provide you with the best new home experience possible! 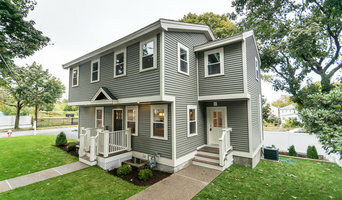 Creating Homes is a residential real estate developer in the State of Massachusetts that specializes in renovating older homes & building new houses throughout the Boston Metro area. We are a growing company looking to renovate houses & improve neighborhoods, while providing our buyers the highest quality houses available in the market at the most competitive prices. Creating Homes is Boston's premiere residential redevelopment company. The most fundamental part of Pioneer Construction is our field and office team. Pioneer people care about a high quality product and successful client relationship. Our field supervisors work diligently to build high quality homes while also offering the highest level of client service throughout the building experience. Home construction requires working closely with the client, architect, designers, and subcontractors. Pioneers employees manage these many parts keeping them focused on the common goal of completing your project. The nature of construction creates endless design/build decisions. By working closely with our clients we learn their likes, dislikes, pet peeves. We not only present a sound building product, but we always consider the wants of our clients when decisions are made. We believe that our clients, and projects, deserve consideration at every step, along with the necessary hard work required to deliver a superior product. Our mission is to exceed your expectation! We are a locally owned and operated family business that began 15 years ago in England. I have recently relocated back here to the Cape and brought the business with me and added two generations of my family, including sisters, brothers, nieces and nephews. We are a multi-talented bunch with a very creative background in art, design and all things home related. As teens we worked in our parents construction business from the time we were old enough to swing a hammer. At some point I earned a degree in business and left home and in 2003 started Lyman Design. We value honesty and integrity and treat your home as if it were our own. We offer a variety of general contractor services that are customizable to each individual project. We may not be the cheapest, but we pay close attention to the details of each and every project that we are involved with. We look forward to building lasting relationships and guarantee your satisfaction. We take great pride in the quality of our work! New construction, remodeling, developing, and custom tile work. South Shore's Trusted Custom Home Builder - Best of Houzz 2018! ELITE HOME BUILDERS is the joint venture of two companies with over 40 years of outstanding building experience - Casa Builders & Developers and Mota Construction. Casa Builders has been building quality new construction single family, multi-family, condominiums, active adult communities, and, commercial projects for over 35 Years. Headquartered in Westborough, Casa Builders has an outstanding portfolio with a focus on high efficiency, low maintenance and architecturally pleasing designs for optimal Buyer satisfaction. Mota Construction, a multi-faceted hands on Construction Company for over a decade in the Metro West Area, is focused on quality materials and customizing details that separate their homes from the competition. Together as ELITE HOME BUILDERS they will combine their years of experience, knowledge and resources to deliver the finest homes to their valued customers. Custom Cabinetry, mill work, renovations, restoration. Whether it's a significant renovation of your existing property or the undertaking of your dream home, PERCHERON Group will provide the intellectual resources needed to ensure success. Construction services are not an everyday need for most property Owners. There is far too much potential for costly mistakes when you are trying to "learn as you go". Missed design opportunities, lack of technical knowledge and financial imprudence are just a few examples of common pitfalls. Contact PERCHERON Group to find out how our participation as your partner works to help pay for itself. Maystar Homes is a family owned construction company that specializes in custom homes, restoration and remodeling. We pay close attention to functionality and design to fit each clients individual lifestyle. Giuseppe Home Improvement understands that any construction project, no matter the size, can be a daunting task. Whether you want to dress up a dining room with some crown molding & wainscoting, renovate a bathroom or fully redesign & renovate your entire home, Giuseppe Home Improvement will help create the space & look you desire. From an economical standpoint, we know that budgets are real, so we are committed to being honest and open about the costs of your project. In addition, we strive to make all construction projects run as smoothly as possible. One way of keeping our projects running efficiently is by tackling one job at a time - our current customer is our only customer. The honesty, integrity & craftsmanship you will find with Giuseppe Home Improvement are unparalleled. Our goal is to exceed expectations and always treat your home and family with the utmost respect. The value we bring to you is excellent quality materials warranted by top manufacturers, masterful work performed by local home improvement and home construction professionals and accountability. We know the area, the weather conditions and what works best on New England homes. We aim to earn your lifelong trust by building your dream home or making the improvements on your existing, expeditiously and cost effectively. When you are thinking of home construction or home improvement, think Burns Home Improvements. We provide home improvement and construction for Boston, Quincy, Medfield, Westwood and surrounding communities. Seacoast Area Experienced Custom Home Builder - Best of Houzz!